Love the Seattle Seahawks? Join their drum line! Are you a crazy Seattle Seahawks fan and also happen to know a thing or two about a pair of drum sticks? Well you're in luck! 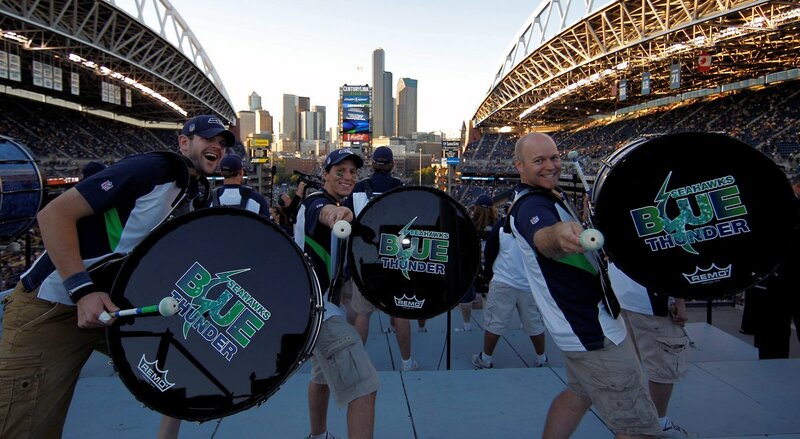 The Blue Thunder aka the Seattle Seahawks drum line is gearing up to grow their line and auditions are coming up. The first day of aditions is on April 9th at CenturyLink Field with call-backs held on the 10th. You must perform a solo piece and then perform a prepared piece they send you. Choreography and fun is encouraged. 5) Be able to rehearse year round throughout the week and perform at 40+ gigs including games. Head here to fill out your audition form!